If I look above me (right now, right where I sit), I can see a cobweb. A dusty cobweb. A large, dusty cobweb. Not the acceptable kind of cobweb, but an old, haunted house kind... and it's in my kitchen... in plain sight. Well, plain sight if you're sitting in the corner at the computer and the morning sunlight is pouring in the window, but you get my drift. It makes me wonder what other cobwebs are around? I know there used to be one in our bedroom. You could only see it in the right light, when the sun was fully shining in the windows. It was just a "one string" cobweb that went from the wall to the end poster on my side of the bed. (That freaks me out. A spider was on our bed. Our bed. He was on MY BED, on MY SIDE. Yes, I know this happens, but I try to stay in "Angela World" where spiders should never be on my bed, on me, in my clothes, or touching anything that I would ever touch.) There's also a large cobweb in the laundry room. I'm in there so stinking often you think I would have taken care of it. I always think "I'll run and get the duster," and then don't come back until the next load needs to go in... sans duster. There are some cobwebs in my attitude. I know they're there, and when they're able to be seen by other people I realize they should be dealt with. But when they're not directly exposed I forget and let them sit. Then they get dusty, and the next time I see them they're even worse. My time management has some pretty large cobwebs. I see those ones often, but the time it would take to clean them out seems overwhelming. So I tell myself that I'll "go get the duster" in a week, a month... next year. But I never do. My relationship with God has some cobwebs. They've built up in a few areas of my life that I don't always want to discuss. Places where he prods my heart, and I know I should deal with it, but it's not really TOO bad. Is it? The cobwebs are okay for now. Aren't they? I'd rather live with the discomfort than go through the pain of "getting the duster." But, growth and maturity require truth. Real relationships require us to be real ourselves. In every area. Cobwebs and all. God desires real relationship with me. If I choose to leave the cobwebs, He can still use me... but if I choose to clean them out, oh how much clearer and beautiful that relationship will be! Maybe what David was trying to say was, "God, look for cobwebs. Show me where they are so I can clear them out!" The danger is when we become so used to the cobwebs they become a part of us, a part of who we are. A certain way of thinking is "just me. That's just who I am." We forget it may be a dusty, dirty way of thinking that's only there because we've neglected to clean it out. How we do things is "just our personality." Is it? Is it really? Or is it something that could be done a much healthier way, but we don't want to take the time to change it? We no longer see the cobwebs, and when someone lovingly points them out, we take offense. "That's me. That's how I do things. How dare you suggest anything different." Angela, I think this is my favorite blog that you have ever written. I have saved it forever and may even pay homage to you in a teaching. I love how my friend put it. "My house is decorated in antiques with plenty of "Victorian Lace" adorning the ceilings. There are plenty of cobwebs in my heart right now. I thought I got rid of them a long time ago. Well, actually, I did but they mysteriously keep returning! The rooms of my heart that I thought had been permenately cleaned out I found out are not! I even locked that door and didn't allow anyone into that room and it still gets dirty! Past wounds and emotional injuries have snuck up on me and have caused me to doubt and question many things. The cobwebs keep returning! Part of me hiding out this last month or "taking a break" as I called it was because I had some cobweb cleaning to do. I just needed to (or was it wanted to) be alone and quiet with my own thoughts and figure things out. Being quiet and putting all distration aside gave me plenty of time to be alone with the one my heart hungers for the most; my God. I am so wretched. So sinful! And yet so loved by Him. I had to clean "house" during the month of December and in a sense I am still cleaning. Well, actually, if I can be completely honest I need to clean every day (Rom.12:12)! And this is the only way to keep the cobwebs from returning; by killing the spider. 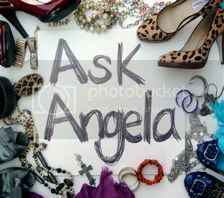 Thank you for this blog Angela. It's as though you have been peeping into my silent prayers at night. This really was beautifully written Angela. Obviously God inspired you to write this. I just had to come back one more time to read before heading off to my women's leadership meeting. Maybe with your permission we could use this for our Feb. news letter? Uncanny, today I was noticing that the bright winter sun shining in the kitchen window revealed all of the water spots, grease drips, dust, and whatever else had stuck itself onto my oven and dishwasher doors. Oh, the darn bright winter sun, I thought. Now, reading this....hmm. Provoking ;) Thanks for sharing. PS. I have a cobweb story for you next time we have a chance to chat. this is a wonderful post, Angela. Thank you for this reminder.